SPOILER-FREE! There are few things as relaxing as a cute animated film about a group animals that can talk, wear clothes and have zany adventures. 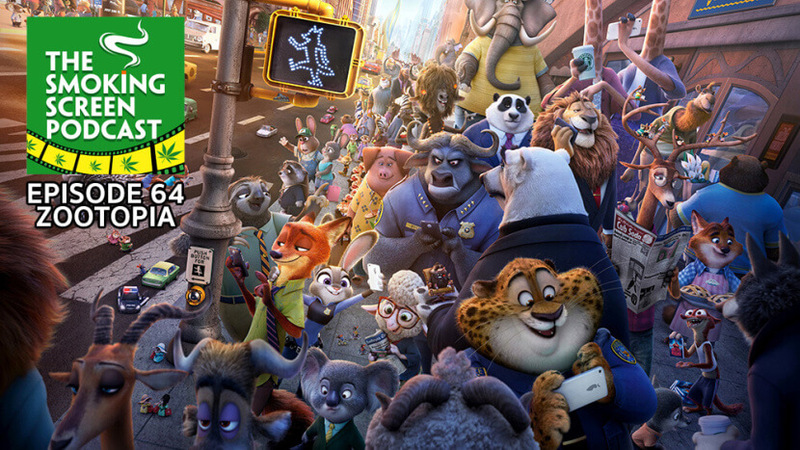 Disney’s Zootopia is not that film. What is it then? Perhaps the first entry in the animated zombie/social consciousness allegory genre? Does this unlikely combination of cuteness, comedy, horror and morality somehow manage to work? Are the voice talents of Ginnifer Goodwin, Jason Bateman, Idris Elba, J.K. Simmons, Tommy Chong, Octavia Spencer, Jenny Slate, and Shakira, put to good use? We answer all of these questions and more in episode 64 of The Smoking Screen Podcast. Come join the circle.